ID The punt is beautiful in itself but to me it’s what it speaks of. It’s a special thing because I associate it not just with being at university and the beauty of going along the river in Cambridge but also, I don’t know anything like it anywhere else in the world. I don’t drive, so it’s the one vehicle I’m allowed to be in control of – and I’m quite good at it. There’s a skill to it and when you’ve mastered that skill there’s nothing better than punting down a busy river and not hitting the tourists. You don’t have to be strong to punt. It’s a subtle art. I like Cambridge punting best. 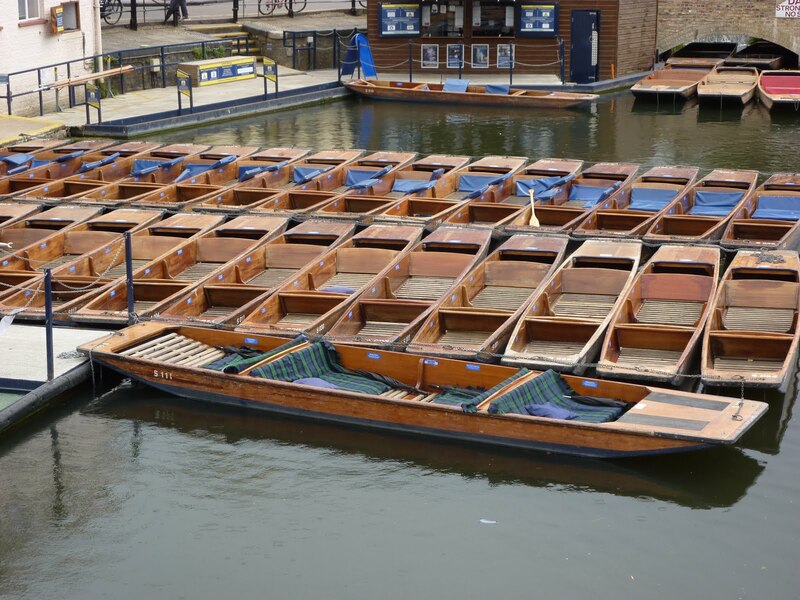 People in Oxford punt at the wrong end. It’s a very special design made for the shallow waters of the River Cam. GB Talk to me about beauty in your work. You work so much with the baroque repertoire. Do you see any beauty in the visual arts of that time? ID There was a lot more blurring between the arts at that time. Sometimes when I’m teaching Handel people want to pull it apart. There’s an aria, the big tune, followed by the B section then the da capo where it goes back to the beginning and repeats and there’s an opportunity for people to improvise and ornament the tune. This means that the operas are quite long and peoples’ attention spans can’t quite deal with it nowadays. So people want to cut ahead. I say that’s like robbing a lovely Georgian building of a column or two. There’s a natural balance to the music and that’s reflected in the architecture of the time. It works like this. When we talk about the baroque in art I suppose we suppose we imagine something quite florid whereas the music seems simpler. The French filled it with trills, composers like Lully. It’s lovely but feels a bit like eating tons of ice-cream with every sprinkle on the top all in one go. GB Do you think people are afraid of beauty in opera productions? Handel’s music is so beautiful but so many productions want to be political or shocking in some way. ID I think they’re not thinking about beauty at all, just about approaching the drama from a completely different place. I suppose there’s a danger with baroque music that you can make a museum piece. People can get stuck on authenticity. I think that the one thing Handel would have done would be to adapt. For me the beauty in an opera comes from the people in it performing it by going where the music takes them and thus by it being moving. It’s all about breathing and expression. It should connect with people without them having to ask why. GB Do you think that in the Baroque era beauty was more associated with virtuosity than it is now? ID Yes. I don’t think virtuosity in itself is beautiful. I think people are still impressed by virtuosity but it’s a short-term impression, the cheapest applause. I think too many people are going back to thinking that singing fast and high is the only interesting thing. ID Sincerity. I don’t think many things that are not sincere are beautiful. To be beautiful there has to be a certain depth. I also think there’s something about a moment that can’t last, that’s unrepeatable that’s beautiful. Like that moment when the weather’s perfect and you arrive in Grantchester with friends and get in a punt. I suppose punting is a bit like singing countertenor. It looks simple but it’s not that easy to do. Sincerity, thought and skill add up to something beautiful.